Check out our own project vehicle, the JATAC (Just a Tacoma & Camper), which illustrates an affordable global-ready vehicle. Bente & Hans Donné's HZJ78 has been exploring South America for five years. They are on their way north to the Overland Expo. Bente & Hans Donné's Land Cruiser deployed for camping. 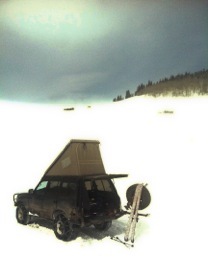 Eric Lippincott's great Land Cruiser with integrated pop-up. Brice and Kat Adams' Angel Fire Pizza beast from Taos. 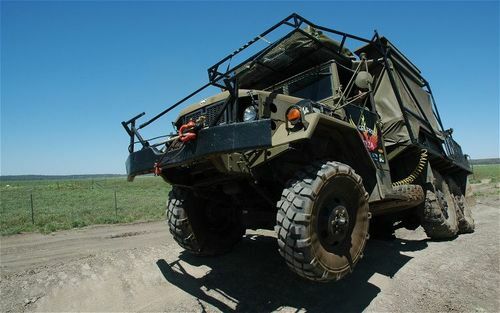 Who says the beast can't overland? Shane and Sandra Young will be back with their Camel Trophy Defender. Marc and France are driving this wonderful 1984 HJ47 from Quebec to Tierra del Fuego. Older PostOX13 map poster—and t-shirt?